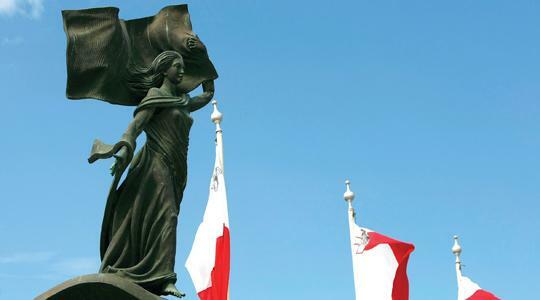 On the 21st of September, Malta celebrates its Independence Day. 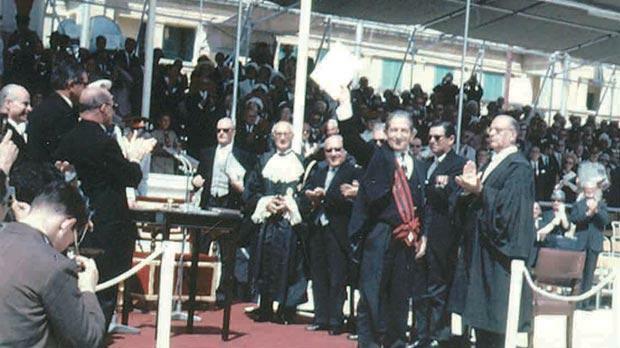 The day represents the time when Malta was finally granted its independence from the British Empire on the 21st September 1964. The event itself is particularly significant as the islands had been a possession of a colonial power for almost the entirety of recorded history. The difficulty in the acquisition of independence by the island’s population was in part due to the strategically important position the islands held in the Mediterranean Sea since classical times, with the islands passing from one ruler to another throughout the years. In 1800, the British had assisted Malta in removing the occupying French forces and the Maltese people had asked to become a sovereign nation in the British Empire. This was ratified in the treaty of Paris in 1815. There was significant support at the time for the islands to be handed back to the Knight of St. John who prior to the French occupation had controlled the islands for 266 years, however, this never came to be. Interestingly during the period of French occupation, the island of Gozo was technically a de-facto independent nation for a period of nearly three years. This occurred due to the ousting by Napoleon of the Knights in 1798, after mere months the Maltese rebelled against the French in Mdina and the revolt spread to Gozo. The garrison stationed on the island capitulated with the assistance of the British and control of the island was transferred to a provisional government who declared Ferdinand III of Sicily their monarch, this ended with the establishment of the islands as a British Protectorate. 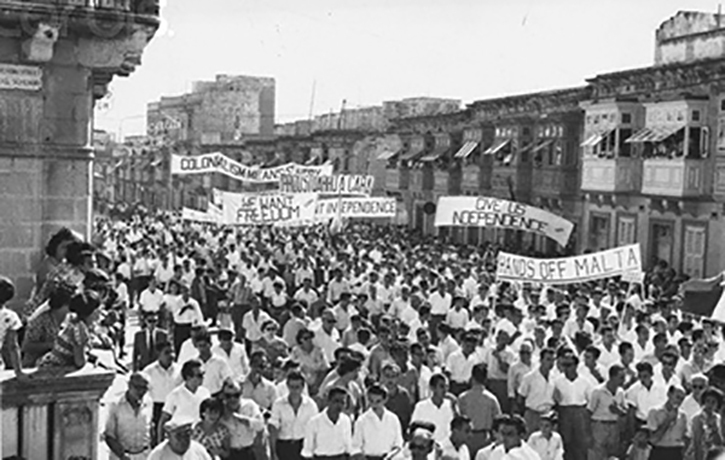 The importance of independence as a political issue gained momentum across the globe throughout the latter half of the 19th Century and continued until the rapid period of decolonisation that occurred after the Second World War. Events on the island including the incidents that occurred during ‘Sette Giugno’ only served to highlight what was rapidly becoming a nationwide movement. Self-rule on the islands was granted in (after a few false starts) in 1947, in no small part due to Malta’s heroic stand against the Italian and German forces in World War II, when King George VI vowed that self-government would be restored at the end of the war if the Maltese people wanted it. With this achieved the issue change tack and two main camps emerged, either full integration with the United Kingdom or, self-determination (independence) with the same “dominion status” that Canada, Australia and New Zealand enjoyed. A ‘UK Integration Referendum’ was held on the 11th and 12th February 1956, in which 77.02% of voters were in favor of the proposal, but owing to a boycott by the Nationalist Party and the Church, only 59.1% of the electorate voted, thereby rendering the result inconclusive. With this the government of the islands sought for complete independence from the United Kingdom which was eventually granted on 21 September 1964, 10 years later the islands became a republic. 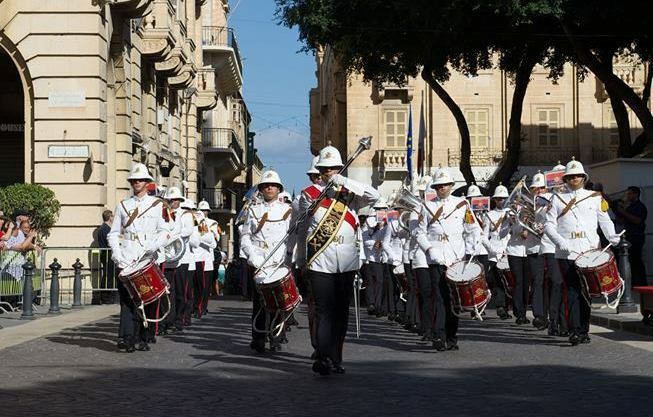 Today, Malta’s Independence Day is celebrated with parades and festivities across the country and its celebrations are a fine display of Maltese tradition and still hold immense historical significance. Malta is immensely proud of its culture, whether it’s our Maltese Feasts, beautiful palaces and even our local personalities.